Having the right things to wear can make or break an outdoor winter workout. Having a plan for buying gear for winter workouts will make it easier to spend your money wisely and efficiently. 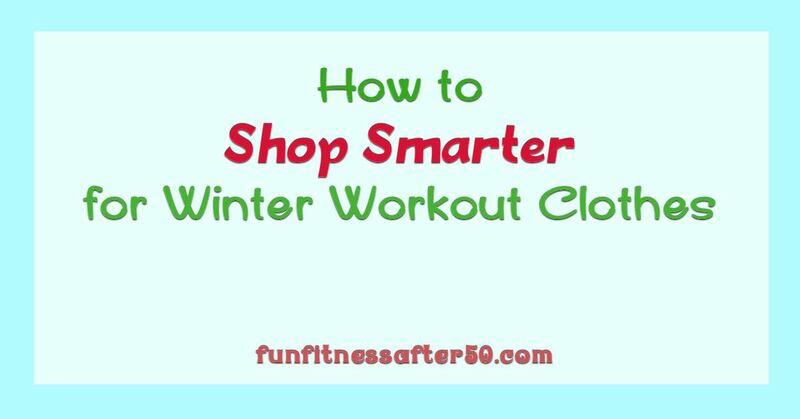 Yes, it costs some money to invest in the right winter workout gear, but if you have the right things, they will get used. You can consider it an investment in your health, both long and short term. Getting outside and expanding your lungs with fresh air can be as important for warding off illness as washing your hands. Having the right things to wear will greatly increase the likelihood of going outside to exercise. One of the biggest mistakes made during winter exercise is overdressing. This creates problems like being stiff and bulky or retaining too much moisture. Ironically, if moisture cannot get away from the body, you will probably get colder no matter how many layers. Being stiff and bulky frequently means you can’t use safe or comfortable body mechanics. This includes body parts that move in auxiliary ways and body parts that you aren’t used to thinking of needing to be flexible. Sometimes not enjoying your workout is because you have worn bulky shoes or can’t bend your elbows properly! Along the same lines, the flexibility of the fabric of clothing is important. You want your body parts to be able to go through the right motions. Another benefit of flexible fabric is that it can be more form fitting, which means less rubbing and sores. Form fitting also means more protection from wind, as there are not spaces for it to blow into. It may take some experience to figure out just how much covering you need for certain weather conditions. The trick is that you want to stay warm enough, but not induce unnecessary perspiration. Unfortunately, evaporative cooling works just as well when it is cold outside. This is why it is best to attempt to have just enough on to avoid getting very warm. It helps to have a few options for different conditions. For instance, a pair of capri running pants can be just the thing on a warmer winter day. Since the leg muscles are being used, they will warm up quite a bit, even if you still want ear warmers or gloves. The next consideration is how well some of those options can be layered. When it is below 30°F kind of cold, I start with a layer of a wool long-sleeve shirt, followed by a thicker, more wind resistant shirt. Over that I also have a thin, but insulated jacket. I have been surprised to learn that even in these conditions, I may end up shedding layers. A lot depends on the sun and the humidity. It will also depend on your cold tolerance and how quickly you will heat up. I always start out on the slow side, so need more layers to begin with. My husband runs or works faster than me, so starts out with less on. Even when he is shoveling snow from the driveway, he is often in just one long sleeve shirt. My gloves and ear warmers are generally the first things to come off, but I keep them in my jacket pockets. I know that the longer I run, the more likely it is that I will start to get chilled again. This is true with any outdoor exercise. The more tired the body is, the more it is susceptible to getting cold. This is different than a chill I might feel at the beginning of a run, when the chill can be inspiring to get moving. This later chill is draining and nearly impossible to recover from. It is usually not an issue unless I run more than 10 miles, but it can depend on how cold the outdoor temperatures are. I like to buy fun workout clothes. It energizes me. However, winter is a time of little light. The days are short and the daylight is often gray, with everything blending together. Any time on the road near cars is risky, even if you are on a sidewalk. I will always go with the brightest attire possible in this case. Biking from home usually means at least some time on the road. Even using paths designed for pedestrians often involves crossing roads a few times. Making sure you are visible to drivers needs to take priority. It is my opinion that liquid wetness is the most challenging. It is hard to find any clothing that is water repellent enough to keep out a hard rain and not be very cumbersome. For this reason, I don’t usually exercise outside in pouring rain. I don’t want to turn into an ice sculpture! Still, if I am not going very far and it is not raining in a drenching way and it is not too windy, I may venture out on a shorter run. I won’t usually bike outside in such conditions because the biking leads to both more wind and more water penetration of my clothing. I will however, swim outside in the rain… my pool is heated. To be honest, I do not wash my workout clothes every time I use them. I have hooks in my closet to hang them on. This allows me to get a solid week’s use out of them before laundering. Besides cutting down my workload, the clothes don’t get worn out as fast, because, yes, laundering wears fabrics down. Many workout clothes are made of fabrics that don’t hold up to the dryer. I line dry elasticized or wool clothes for sure. I have a drying rack handy in an out of the way place to hang them on. My polar fleece ear warmers or neck gators go through the dryer nicely, as do most of my running gloves. I never wash my leather bike gloves. I rarely want a hat, but when I do, it is also a polar fleece cap, and I usually take it off after a while. 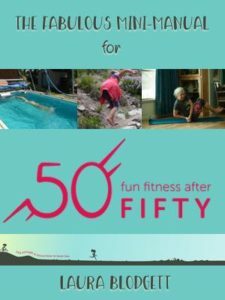 Most of these clothing recommendations will work for any vigorous outside activity that simply involves motion. For work related exercise, you have to think about friction or snagging. Thus, for things like gardening, I still wear jeans and rather thick, leather insulated gloves. Some days it seems harder to go outside, but if I give in and go to the indoor track or treadmill, I end up longing to go outside again. Then, I am glad I have clothing options that make this possible. I also have learned it helps to do some moving chores or activities in the house before heading out. This gets my muscles generating heat and warms my body core. And I get some chores done. I put on my first layer of exercise clothes before the chores so that they will also get warm and I won’t lose heat while changing clothes. If you don’t want to turn in to a holiday marshmallow, good winter exercise clothes are important. They cost less than joining a gym and they make it possible to enjoy the fresh air. With just a little planning, you can be ready for almost any kind of weather. If nothing else, put some of these items on your Christmas list!